One of the highlights of this year was the collaboration I did with some of my favorite Colorado wedding vendors on a ranch in Wyoming. Not just any ranch, Brush Creek Ranch, an absolute gem near Saratoga. The utter hospitality of the ranch and timeless natural beauty was simply a dream. It's no wonder this is an exclusive venue and only a handful of people will ever get to experience it. We focused on three looks for this styled shoot (stay posted for the other two). 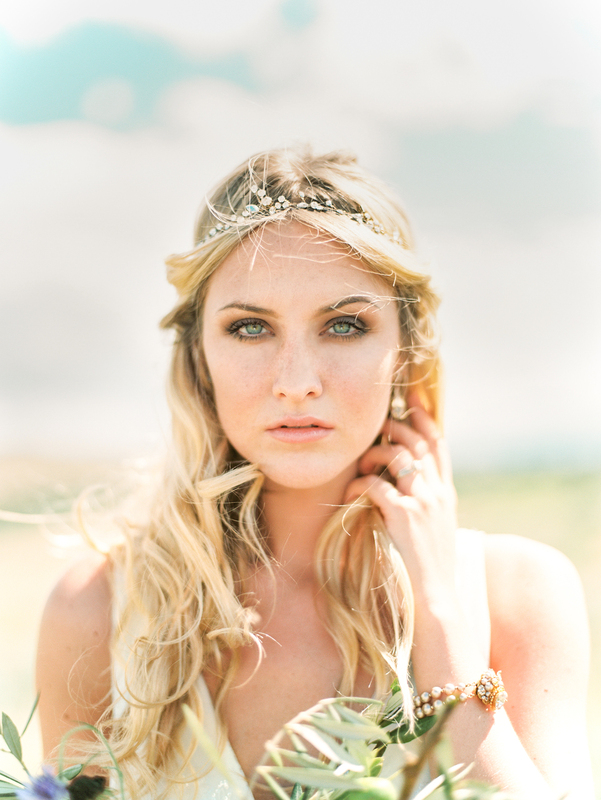 The first look was this stunning Boho Chic look photographed by amazing fine art photographer Lisa O'dwyer. 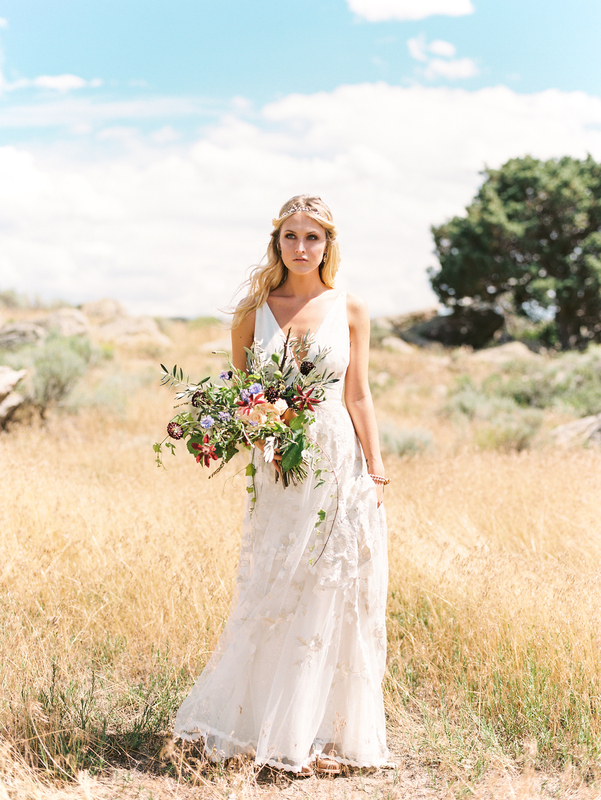 Our bride wore a stunning Claire Pettibone dress from The Little White Dress bridal shop in Denver, CO. Those stunning shoes from Emmy London, Hair and Makeup was done by Janie Rocek and styling by Pink Diamond Events. The beautiful little treats were made by our new friends at Sweets Wyoming. 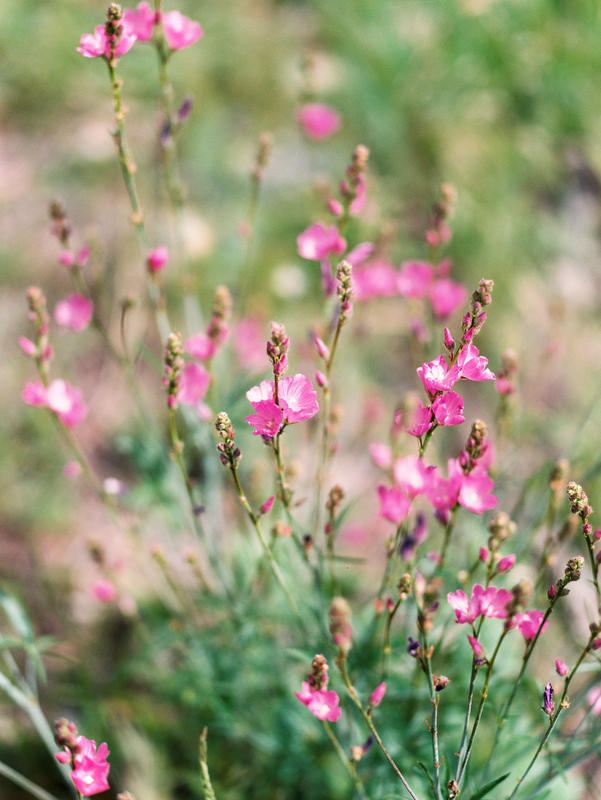 For this bouquet I was inspired by the rich landscape of this elegant dude ranch. I wanted bold colors with a loose natural wild look. The golden pear in the bouquet was and unexpected focal point. We are so excited to mention that this shoot was featured on Grace Ormonde Wedding Style.